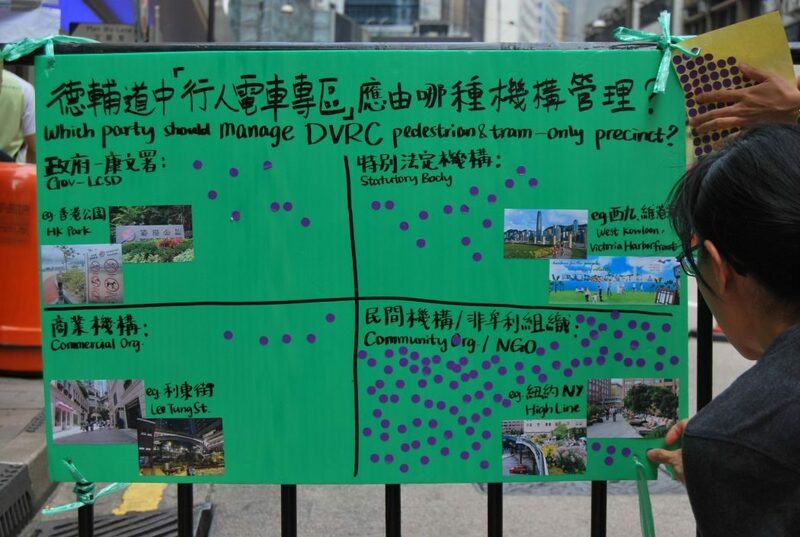 Few people believed it would be possible to pedestrianise Hong Kong’s central business district when they first came together to discuss the proposal. Plenty of road cones and traffic controllers were at junctions. 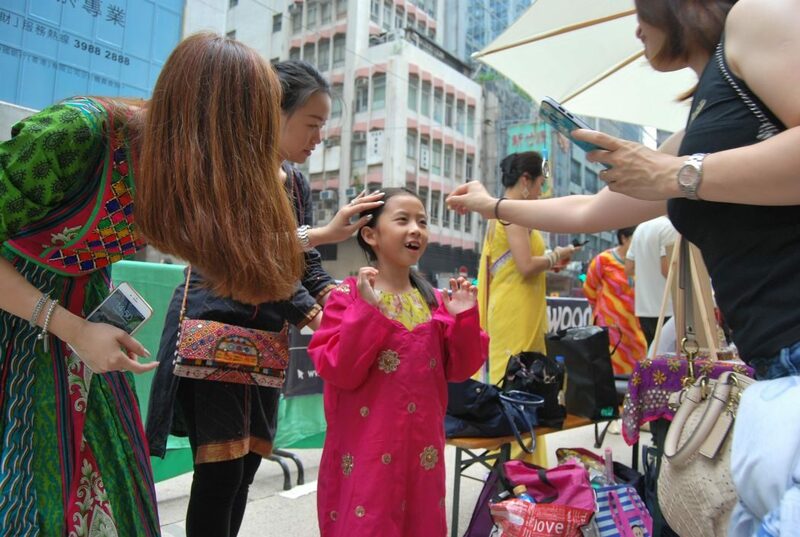 Photo: HKFP/Ellie Ng. 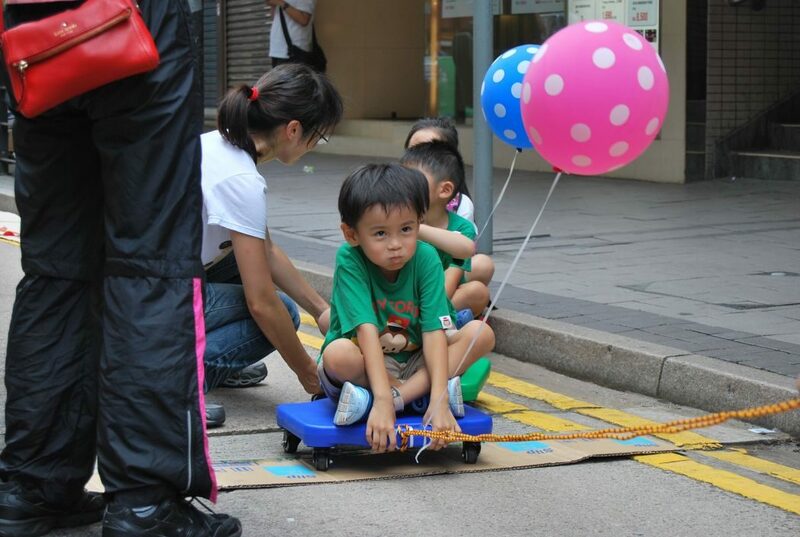 But on Sunday, 47 citizen groups made a car-free Sheung Wan a reality – albeit only a 200-metre long stretch, significantly smaller than the proposed 1.4km pedestrian zone. 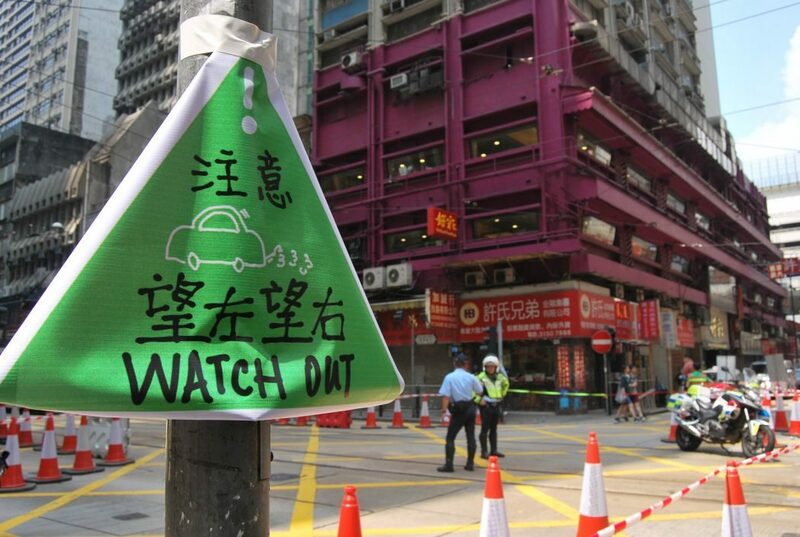 And the event was not without plenty of traffic controllers – a result of the government’s growing sensitivity since pro-democracy protesters shut down the heart of Hong Kong in 2014. The original idea of pedestrianising the Central district came from a group of urban planners, who submitted a proposal to the government in 2000. The plan was never actualised because of a lack of will to act on the government’s part. 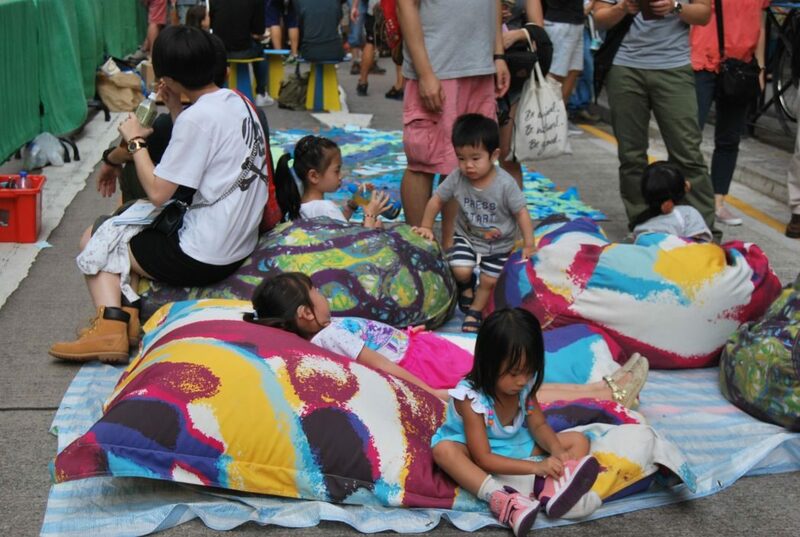 Des Voeux Road Central became a playground for children on Sunday. 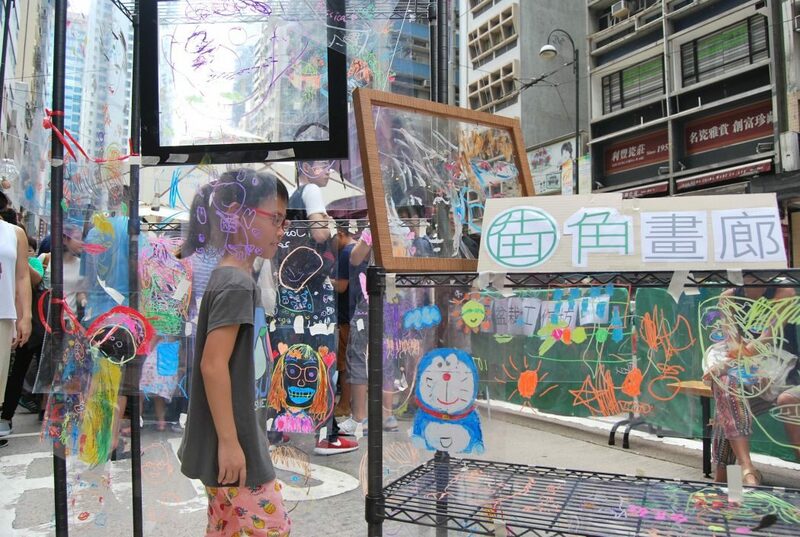 Photo: HKFP/Ellie Ng. 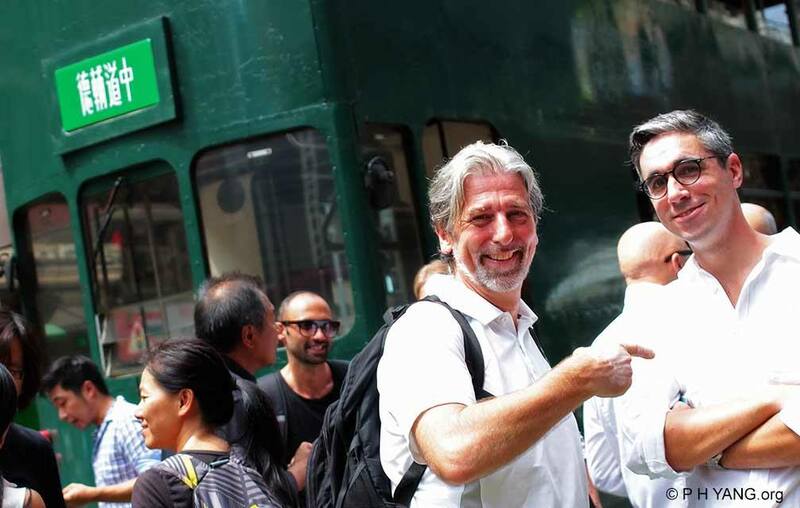 “Nobody wanted to take it forward, because it’s really hard work for the Transport Department,” said Paul Zimmerman of Designing Hong Kong, which co-organised the event. Zimmerman said that two factors were crucial in making the event happen on Sunday, 16 years after it was first proposed. Paul Zimmerman. Photo: PH Yang. On this occasion, there were people in the government who pushed for the initiative. 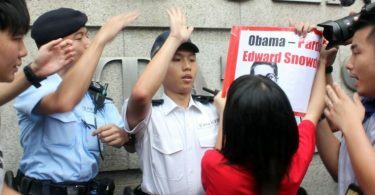 One of them was Undersecretary for the Environment Christine Loh Kung-wai, who was involved in the 2000 proposal. Loh helped organisers connect with different parties, which made fundraising possible for revising the original plan, said Zimmerman. “We have great support from the top level of the government. Everybody is really excited about it,” said Zimmerman. 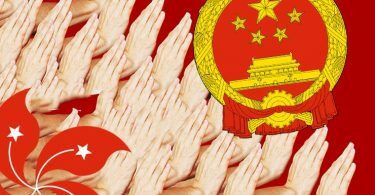 He added that high-ranking officials such as Chief Secretary Carrie Lam were supportive of the plan. Informal poll. Photo: HKFP/Ellie Ng. Despite support from senior officials, Zimmerman said that there was still little initiative within the government and organisers had to work hard to ensure the plan did not fall apart. 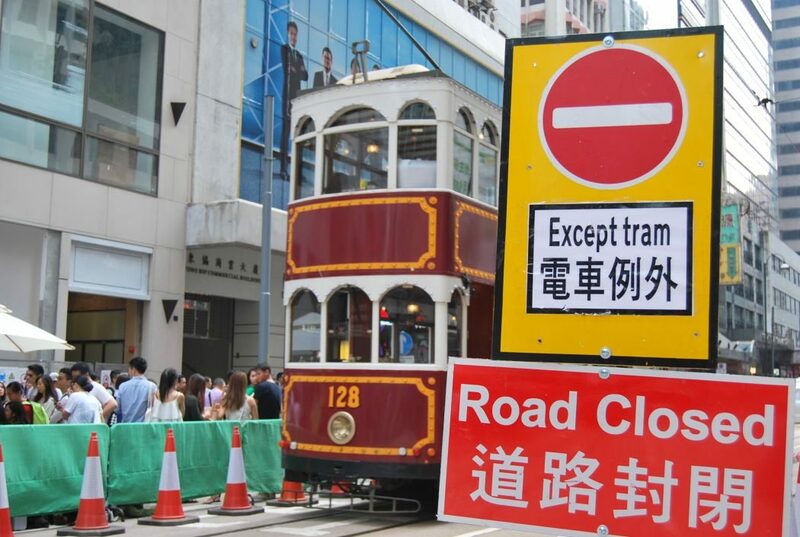 Secondly, the provocative 2015 proposal by consultant Sit Kwok-keung to cancel tram routes between Central and Admiralty helped bring public attention to the issue of pedestrian-friendly cities. Art gallery. Photo: HKFP/Ellie Ng. 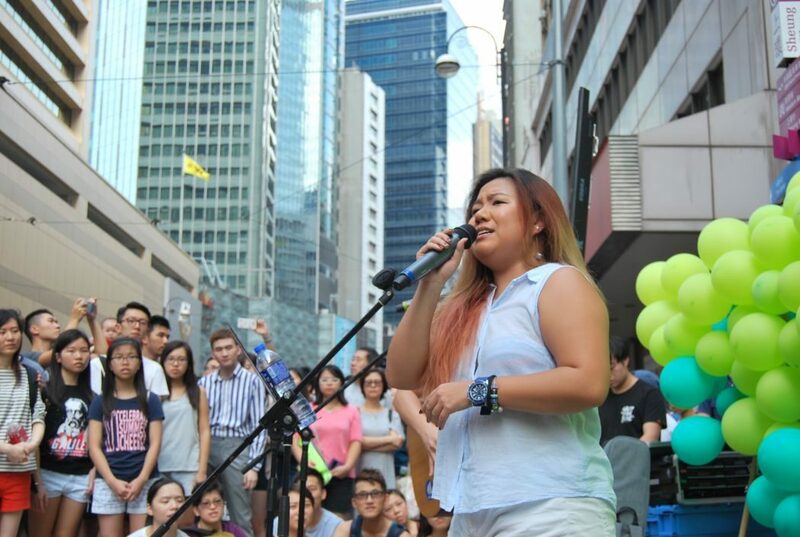 Organisers were ready to submit the proposal at that time, but Sit’s controversial remarks “helped the cause more than anything” that the organisers had done in terms of raising public awareness, according to Zimmerman. Singer at the car-free Central event. Photo: HKFP/Ellie Ng. 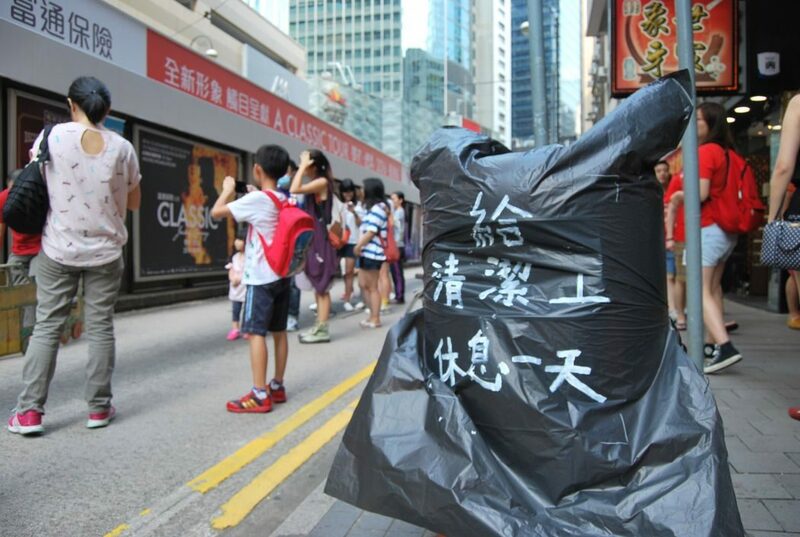 Trash can sealed to “give street cleaners a day-off.” Photo: HKFP/Ellie Ng. 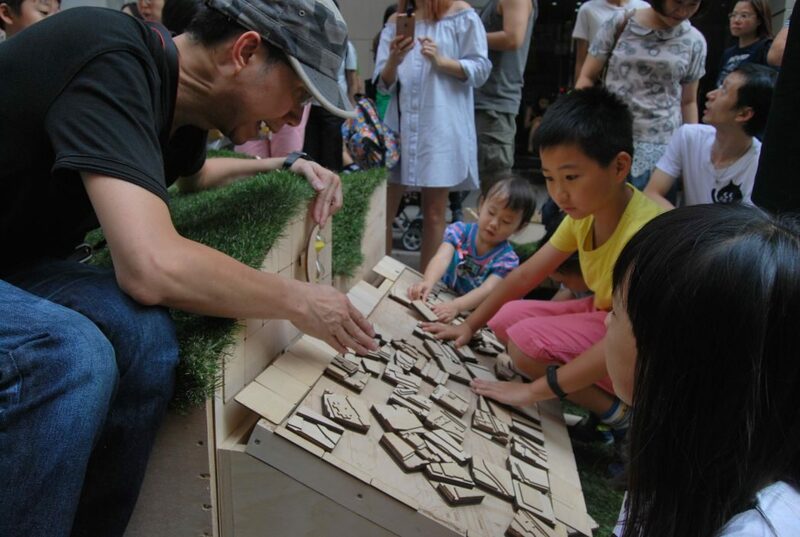 Fung said that the toughest part of implementing the event was to convince different parties – from shop owners to politicians – that the event would bring a win-win situation to every stakeholder. Shop owners, for example, were most concerned about the impact of pedestrianising Central on their business. Fung said that after the stakeholders see the success of Sunday’s event, it will be much easier to make it happen again. 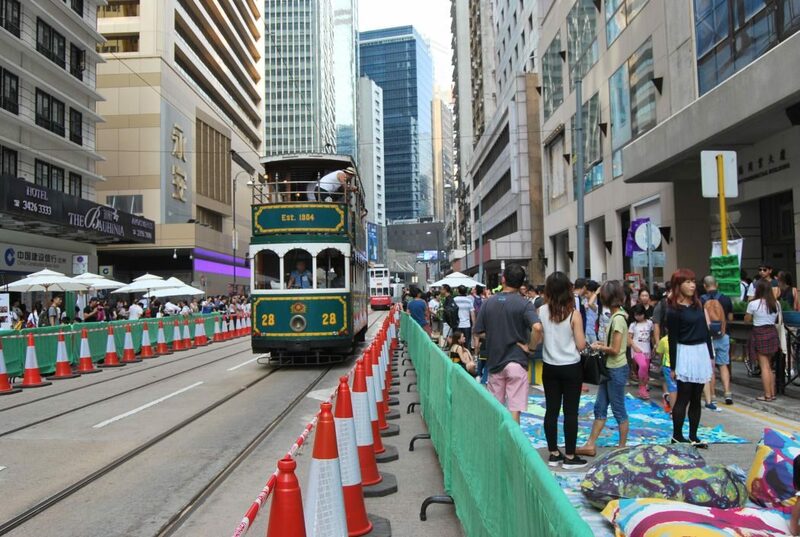 The organisers hope to make a pedestrian zone in Central a regular policy in the near future. Rest stop for children. Photo: HKFP/Ellie Ng. 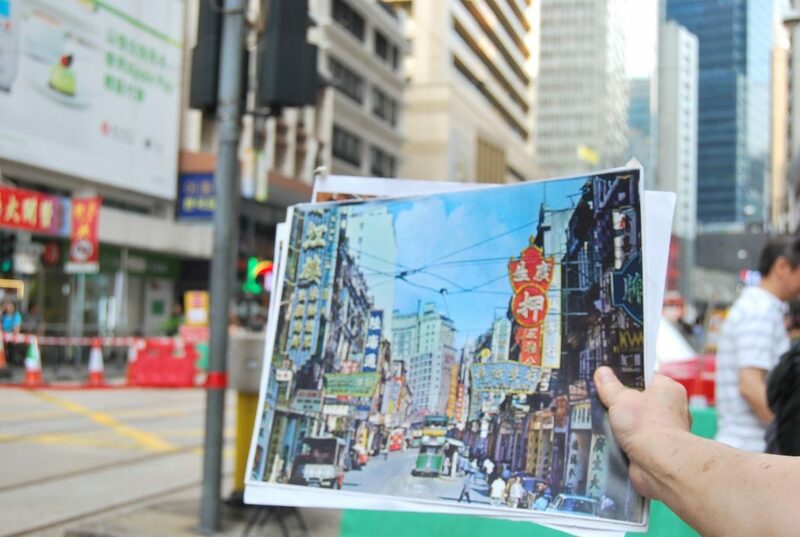 A walking tour guide showing a picture of old Sheung Wan to participants. Photo: HKFP/Ellie Ng. The organisers said that more than 14,000 people attended the event, double the number of pedestrians on an average weekend in the area. Puzzle game. Photo: HKFP/Ellie Ng.